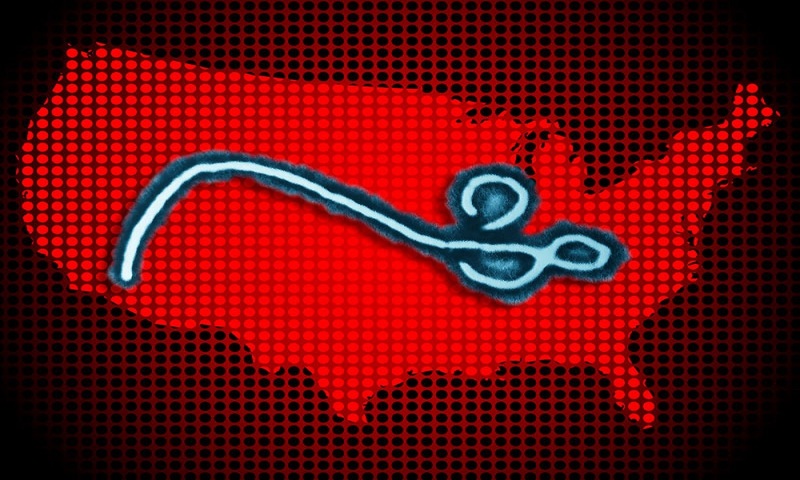 Ebola Outbreaks in the U.S.
Home » NEWS » US & World » Ebola Outbreaks in the U.S.
As Americans everywhere prepare for the holiday season, many are considering a stay-cation as the threat of Ebola remains high. Currently nine patients have been treated for Ebola in the United States and a majority of Americans fear that in the coming weeks, there will be more individuals diagnosed with the disease. Ebola originated in West Africa and upon its initiation, healthcare workers and medical teams went overseas to assist in the effort to contain and prevent the epidemic from spreading. However, despite their best efforts, some carried their work back home or failed to account for everyone that might have contracted the virus. Thomas Duncan was the first case of Ebola in the U.S. as he made his way over in order to spend time with family, and unknowingly, the virus tagged along. Duncan arrived at the hospital with symptoms that modeled that of the common cold, however, it was quickly uncovered that the ill man had contracted Ebola. Authorities rushed to his house and quickly quarantined the area. They began retracing his steps in order to learn who he had been in contact with since his arrival. It was later discovered that Duncan contracted Ebola when he assisted a pregnant woman who had the disease in his home town of Monrovia, Liberia. Despite safety precautions taken to prevent the spread of the disease, a Dallas nurse – Nina Pham – recently fell ill as well. She was the first person to contract the disease on U.S. soil. Reports state that she caught the virus through physical contact with bodily fluids as she was treating patient Duncan for Ebola. However, over the last week she has been given the all-clear and was dispatched from the hospital. President Obama invited Pham to the White House in an effort to show Americans that the treatment for Ebola works and that she is completely cured of the disease. Since the first outbreak of the disease in the United States, there has been one case that resulted in death. Airports in major cities such as John F. Kennedy in New York, Dulles outside Washington, O’Hare in Chicago, Hartsfield-Jackson in Atlanta and Newark Liberty outside New York have stated that they will begin screening passengers from international flights that journeyed to the areas that are said to be plagued by the virus. Passengers will be checked for symptoms such as fevers and anyone found with these symptoms would be quarantined and prevented from leaving the airport. 3 Comments on Ebola Outbreaks in the U.S.
Hopefully this isn’t the disease that kills us all , or turns us into zombies , who knows right? annddd my hope for humanity just dropped.